Have you ever thought of the person who invented "CTRL+ ALT + DEL" key combination. "David Bradley" -- He is the One who spent 1 minute and 23 seconds in writing the source code that rescues the world's PC users for decades. This extraordinary IBM employee retired a year ago on Friday after a prolong service of 29 years.His formula forces obstinate computers to restart when they no longer follow other commands. By 1980, Bradley was one of 12 people working to create the debut. The engineers knew they had to design a simple way to restart the computer when it fails to respond the user Bradley wrote the code to make it work. Bradley says. "I did a lot of other things than Ctrl-Alt-Delete, but I'm famous for that one." He Commented His relationship with Bill gates by saying "I may have invented it, but Bill gates made it famous by applying my formula when ever any Microsoft's Windows operating system made by him CRASHES, thus I win when ever he looses". I just stopped by. Your Control Alt+Delete was too good to be left unsaid. Isn't our life also very similar? We control our lives from youth up? we control the precepts of savants of yore to suit the modern times and reach higher positions. In our climb we have deleted many passions which trouble us (in order to raise a family and be responsible citizens etc., ) and then we become senior citizens. We know sure as night fiollows day , we have to delete this body of ours. 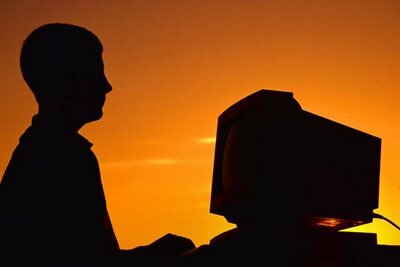 Computer is only a work of man's hands and mind, and it still follows the universal truth. I was in a bank too, once upon a time ,working in their Zonal Office, Greames Road, Thousand lights, Chennai.